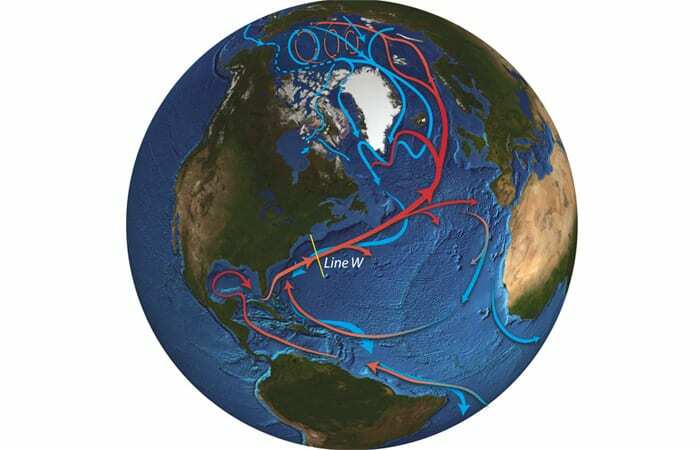 In the North Atlantic, for example, the Gulf Stream carries water warmed at the equator toward the North Pole. 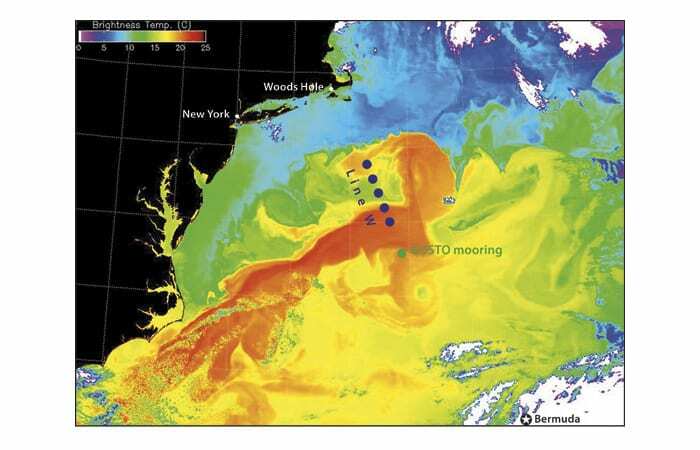 When the warm water meets frigid winter air in northern latitudes, it cools vigorously. 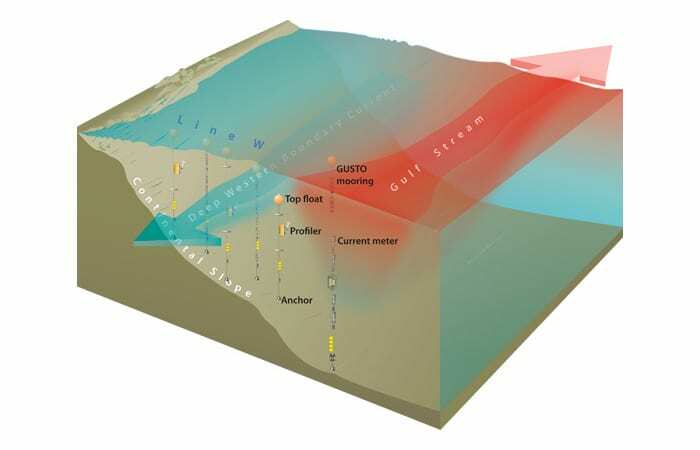 Water becomes denser as it cools, and consequently sinks thousands of meters below the sea surface. 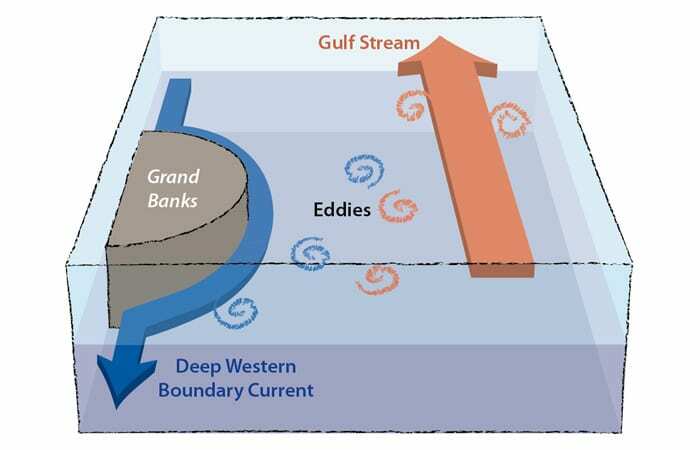 This deep mass of cold water drifts southward in a current that hugs North America’s continental slope on the western side of the Atlantic Ocean basin: the Deep Western Boundary Current. 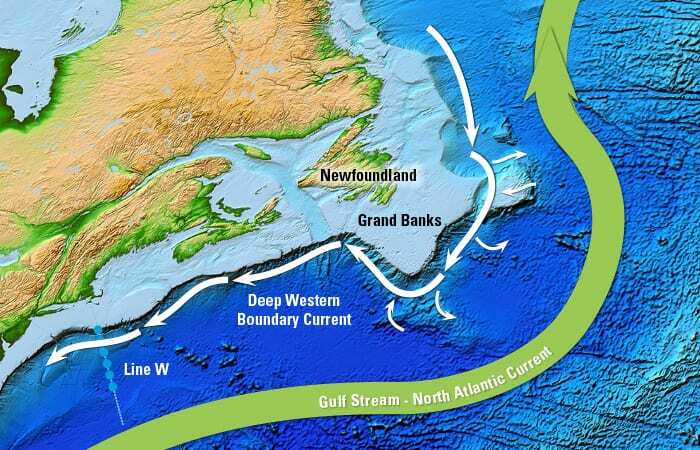 To explore why waters may be exiting the Deep Western Boundary Current, Isabela Le Bras is using a mathematical model that focuses on three features: the Deep Western Boundary Current, the topography off the Newfoundland coastline that affects it, and the Gulf Stream. 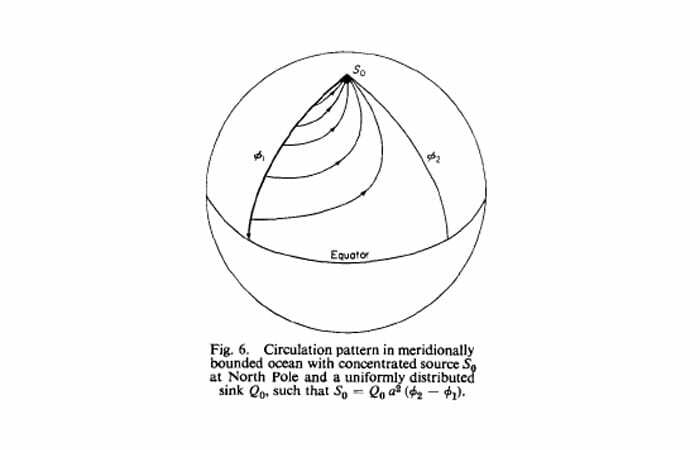 Equations in the model simulate the dynamics of the ocean and generate eddies. 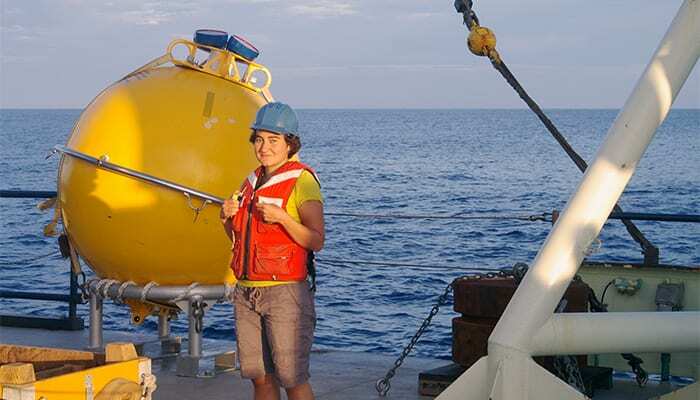 By conducting numerical experiments and manipulating the strengths and configurations of the three key features, she can see which factors cause diversions from the Deep Western Boundary Current.